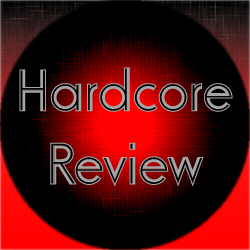 This review covers the hardstyle track Coone – Survival Of The Fittest (Defqon.1 Anthem 2014). This track was released in 2014 as a single. The track starts with a clap layered with a kick layered with a synth. A snare is added and the synth begins to vary. After that, a drop hits and the voice sample takes over. A snare comes back and the synth starts to have a swing rhythm. From there, the track builds up with the synth and even a lion growl sound. A second drop hits and some sound effects take over. After this, a longer voice sample continues. This is layered with the growl and some orchestral elements. When the track begins to build up again, the main melody comes in. The main part of the track is separated with another voice sample. The track breaks back down as the main synth melody backs off for a bit. After this, the track builds back up and another round of the main melody takes over. The track breaks down and the voice sample returns. After this, the track then starts to break down for one final time. the track ends with the voice sample and a lion growl along with a single synth and kick. One great element in this track is the use of the lion growl. It works very well and fits the overall theme of the track nicely. The voice sample does add a nice energy to the track. It pretty much makes u a large majority of what gives the track its theme. It works pretty well in my view. Would I call it amazing? Not really. Still, it isn’t bad either. Probably the only nitpick I have with this track is the number of drops. One is often sufficient. I think you can easily get away with two. Four, however, is a bit excessive in my view. It gives the track a bit of a jerky stop and start feeling as far as the overall flow is concerned. Still, I would call this a pretty solid anthem track. The growl sounds and the voice sample work quite well. The main melody works pretty good too. The flow might be a little on the stop and start side of things, though. An overall pretty solid performing track in my view.